1. Use a clear jar to save. 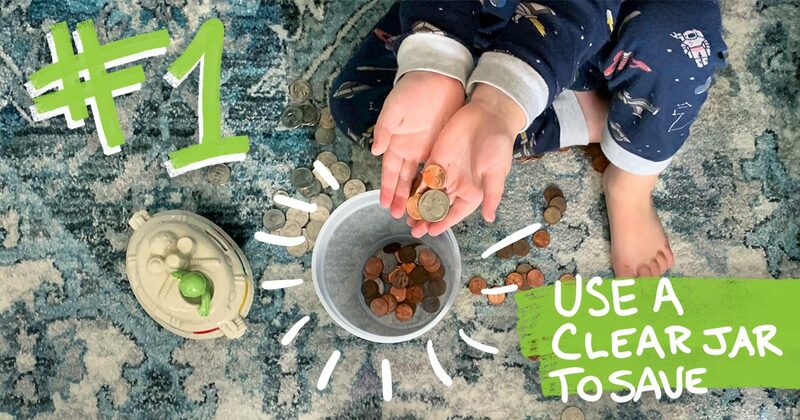 The piggy bank is a great idea, but it doesn’t give kids any visual(Sunny: A clear piggy bank or a frog bank works wonderfully as well) . When you use a clear jar, they see the money growing. Yesterday, they had a dollar bill and five dimes. Today, they have a dollar bill, five dimes and a quarter! Talk through this with them and make a big deal about it! Remember, depending on your child’s development, you might start teaching some of these principles earlier or later. It’s going to take an investment of time on your part, and it won’t always be easy, but if you want your children to understand how to successfully manage their money when they get older, following these guidelines will be completely worth it. If you don’t teach your kids how to manage money, somebody else will. And that’s not a risk you want to take.